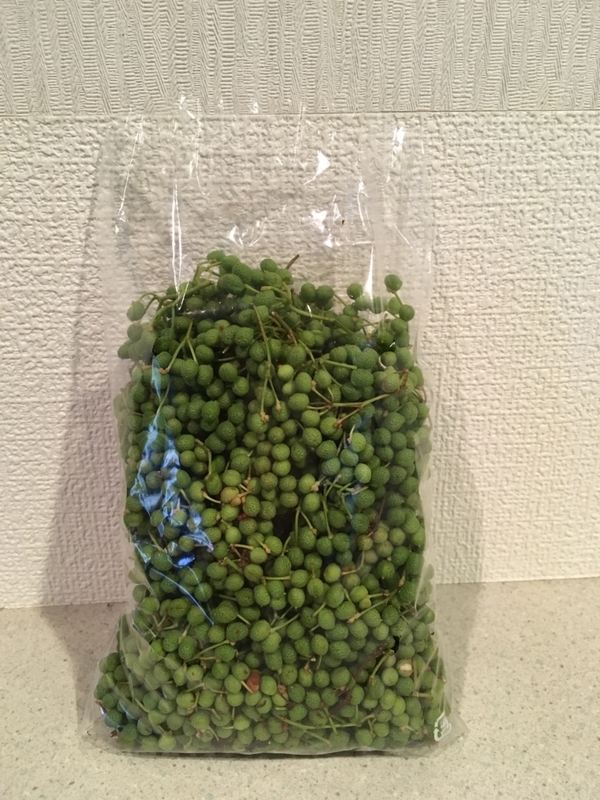 Shansho pepper is the species of szechuan pepper that we harvest them while it's young and green in Japan. 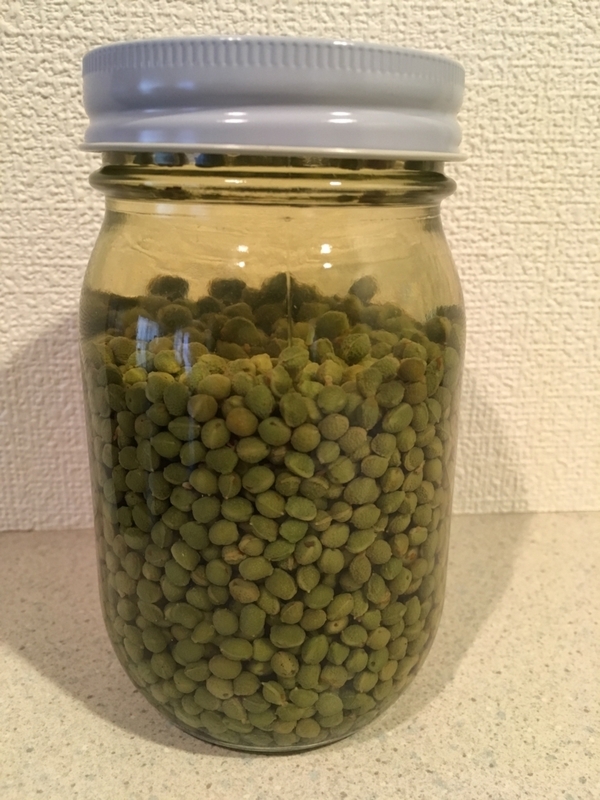 It will be used for various cooking, giving nice spicy kick for your palette. Removing the peppercorn from the branch is time consuming, but worth it. 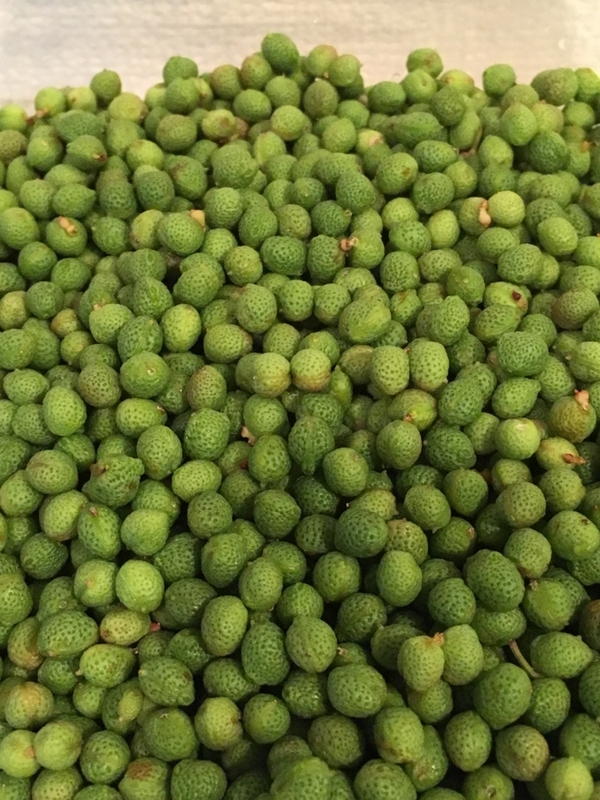 Raw peppercorn has bright green and fresh scent like lime but tastes strongly of potash at the same time. It needs to be soaked for long hours and boiled to reduce harsh taste. 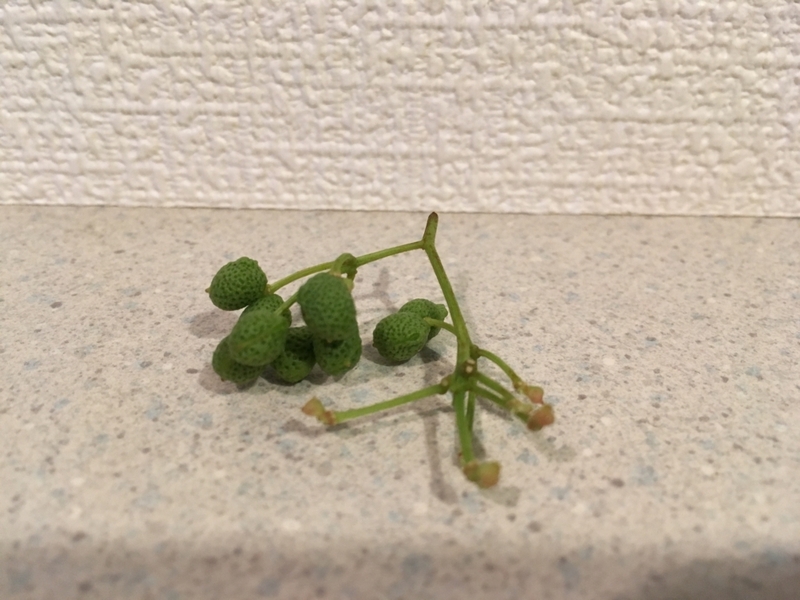 The fresh colour and scent has gone however, this sansho pepper can be used until next year to give distinguished flovour and spicy kick on my cooking.